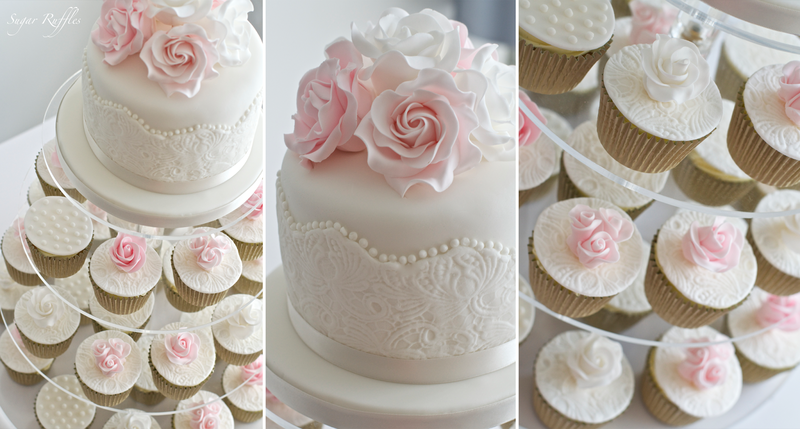 Roses & Lace Cupcake tower delivered to Inn on the lake hotel, Ullswater for the wedding of Sue and Simon. 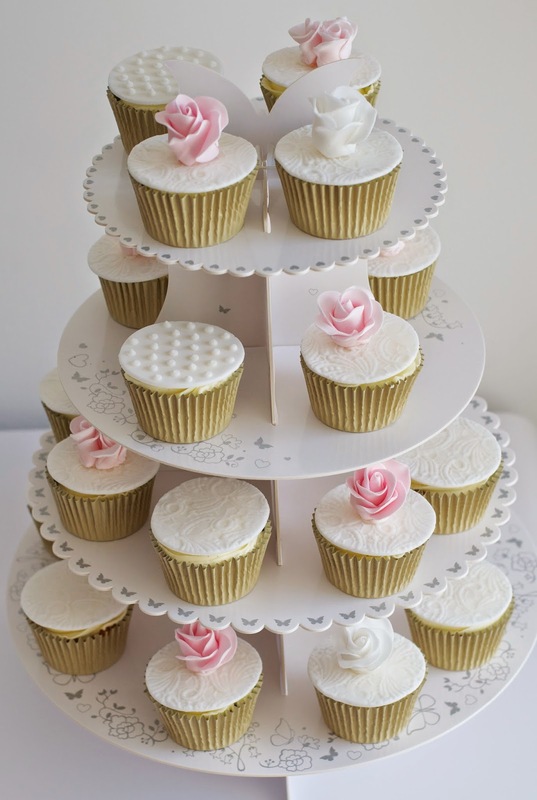 The cupcake flavours chosen were carrot cake, lemon and vanilla bean topped with pretty embossed lace and sugar roses. I received some lovely feedback from Sue after the wedding "Just wanted to thank you for the cakes. They looked amazing. Thanks again for everything. They looked perfect!"